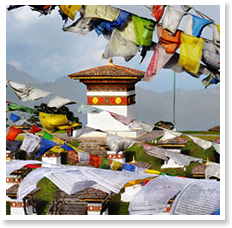 Bhutan Heron Travels is an experienced travel agent approved by Bhutan Tourism Council of Bhutan and member of Association of Bhutanese Tour Operators(ABTO), located in Babesa, Thimphu Town (capital of Bhutan). The kingdom of Bhutan, is only country left in this present world without the influence of outside world and with its own unique culture and tradition, where our natural heritage can be shared among others in the spirit of reciprocity and mutual learning from those who felt would appreciate it. There by playing our part as an independent state and shared to the world with our experience and knowledge. Moreover from the fact, Bhutan tourism policy in focusing on responsible tourism, as this tourism respects and appreciated to those people and to the natural environment; thus, contributing in achieving our goal of “Gross National Happiness”.